This is a tiny map with a flat theme (I reconstructed my flat). This is a remake of Sweet_home2: the worldcraft file had been lost and so I completely reconstructed it without decompiling it. 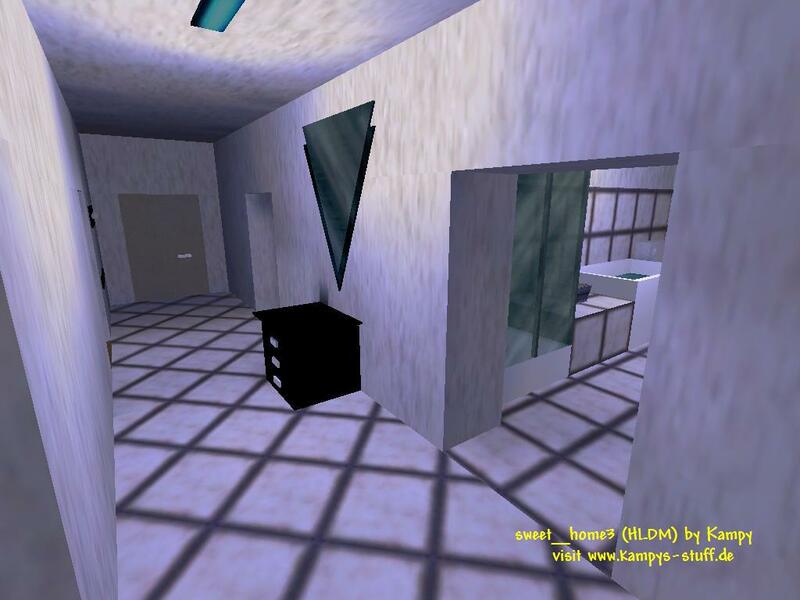 Sweet_Home3 looks much better than Sweet_home2 and it has some small gameplay improvement, like for example you dont have to jump to get into the cupboards anymore. The grafic looks top-notch now and the atmosphere is even better than before. The gameplay or should i say the carnage of this map rulez. There are five rooms connected by one corridor. There is a bathroom, a living room, a kitchen, my parents room and my room. 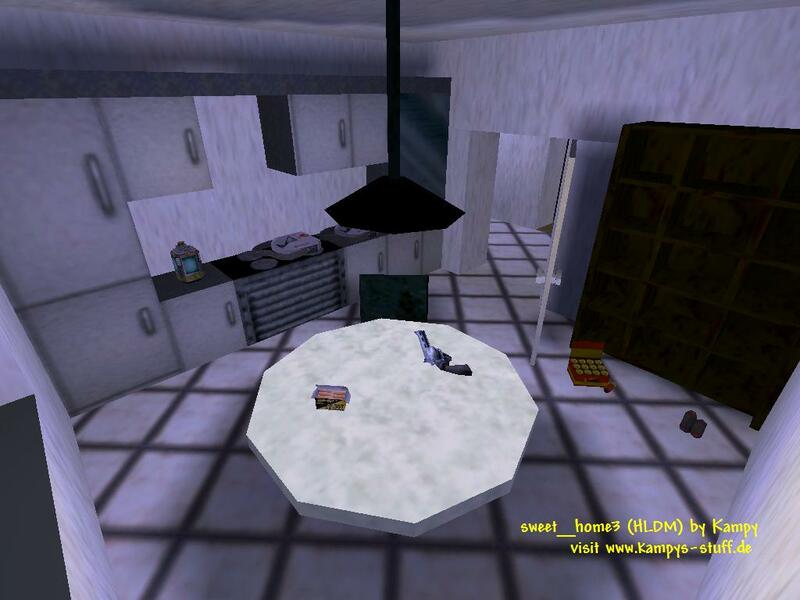 The item and weapon placement is fatal - there are all weapons in sweet_home3 except for the glueon and imagine someone using the bazooka in this small flat :-) There is absolutely no chance of surviving in this map with three people and you really gotta have a huge skill difference to survive it with two. All weapons are used, cause in every room there is another weapon and you just take the one of the room in which you start. I think the map is lots of fun and if you like tiny hectic maps this is the right map for you!